WealthClub / Eve Sleep IPO: the investment story. 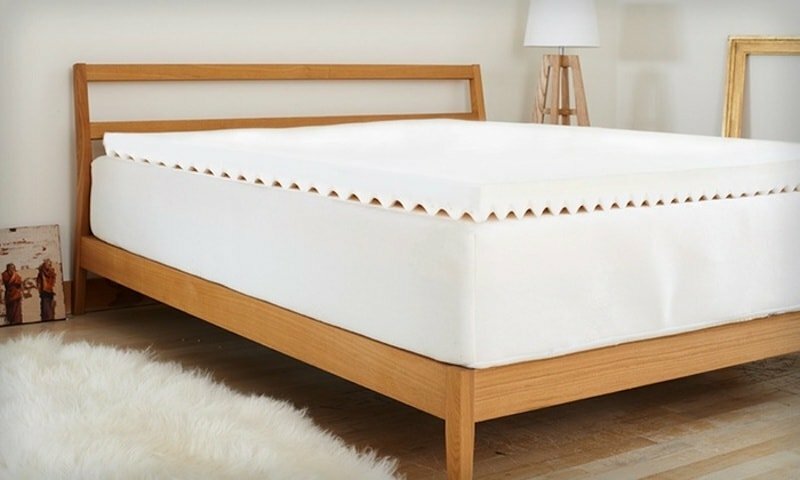 Shares in eve Sleep plc (LON:EVE), the VCT-backed mattress-in-a-box pioneer, have made their debut on London’s AIM this week. 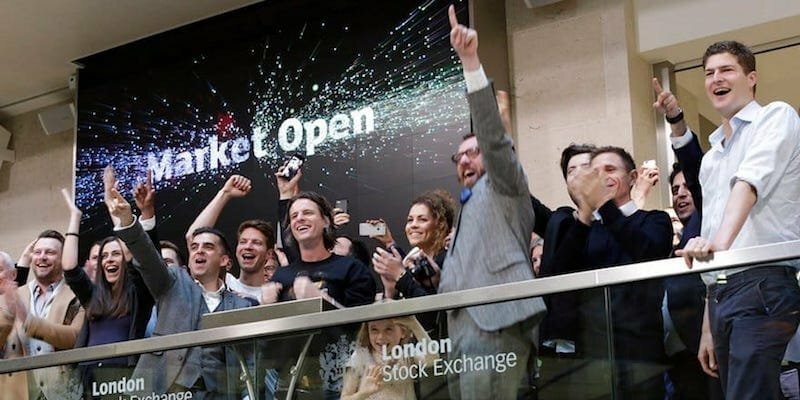 The IPO has raised a further £35 million to fuel the company’s growth plans, and values the two-and-a-half year old company at £140 million. How did its earliest investors, which include Octopus Titan VCT, have the conviction to back this company almost as soon it launched? And how did the founders of such a fast growing business choose which investors to work with? I spoke to eve Sleep co-founder and CEO Jas Bagniewski, DN Capital managing partner Nenad Marovac and former DN Capital partner Tom Bradley to find out how the investment story unfolded. Eve Sleep has been in business just over two years, but the roots of the business took shape many years earlier – crucially, so did the relationship with investors. Jas Bagniewski, a Cambridge MBA graduate, launched his entrepreneurial career in 2008 with a startup incubated by Berlin-based Rocket Internet. In his two-year spell at the incubator, he worked directly with founders the Samwer brothers. Subsequent roles at Citydeal UK (acquired and rebranded by Groupon) and Zalando, the fashion ecommerce company, brought Jas to London. When he and colleague Joe Moore were planning their next venture, a textbook-rental startup, they approached Rocket founder Marc Samwer as a potential angel investor. He agreed to back the company on the condition they also found a London-based investor who would do due diligence. They were introduced to DN Capital by Samwer and another prolific European early-stage investor, Fabrice Grinda (FJ Labs). They ended up not launching the textbook-rental business, but the relationships stuck. Tom Bradley, then a partner at DN Capital, recalls: “It was a ‘no’ to the business model, but a ‘yes’ to Jas“. Bagniewski’s next move was pivotal. Having seen the potential of Groupon as a marketing platform, he got together with James Fryer and Joe Moore and founded a bedding business, Zen Bedrooms, to sell unbranded memory foam mattresses at a heavy discount. He recalls: “Groupon at the time was mainly services. We wondered about the potential for a physical product. The markups in the mattresses industry are huge – as high as 65 per cent to get a product sold at retail. We knew we could discount aggressively. We also knew we could get them manufactured in the UK quite quickly. So we could wait until orders were received and then ship them directly to customers. All of this suited the Groupon model”. The move was an extraordinary success. 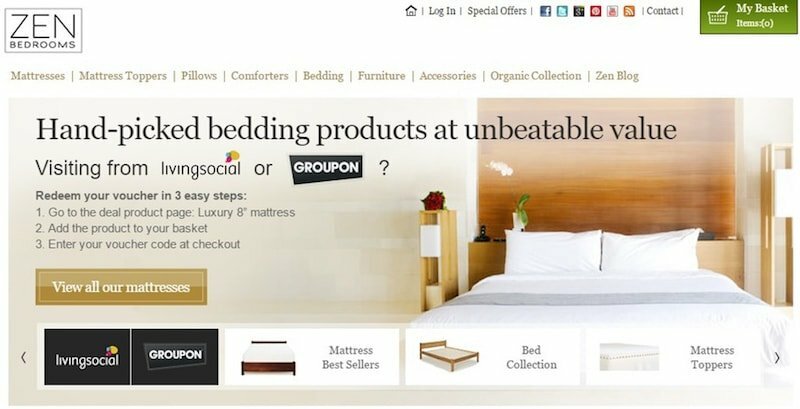 Zen Bedrooms was responsible for the biggest single deal on Groupon, selling 6,000 mattresses in one day ($2 million in sales). They rolled out the business to 18 countries. ”It opened our eyes,” said Bagniewski: “The [mattress] category was broken”. Thus the Eve mattress idea took shape. The three Zen Bedrooms alumni brought on board Jas’ cousin Kuba Wieczorek, who worked in branding for Channel 4, to help create the distinctive visual design for the new brand. The Channel 4 connection was also helpful when it came to getting later investors on board. DN Capital, a London and California-based early stage venture capital fund, was the first VC fund to invest in eve Sleep and was instrumental in bringing Octopus on board as investor. Nenad Marovac is managing partner of DN Capital and heads its European operations. He recalls being introduced to Bagniewski and Moore by Fabrice Grinda in 2010. DN Capital went on to lead eve Sleep’s £600,000 seed funding round, in which Grinda’s FJ Labs and Octopus Ventures also participated. On the business itself: “The unit economics were attractive, and so were the growth rates.” Although eve Sleep was a new venture, the track record with Zen Bedrooms was a strong factor: “The team were already selling [mattresses]. They knew what they were doing. They had a quality product and excellent customer service. And they’re creating a quality brand that’s fun, not stuffy… It’s like a digital version of the White Company”. Hakes [Octopus] and Bradley [DN] joined eve Sleep’s board of directors. When the latter moved to Oxford Capital, Lawrence Barclay became DN’s representative on the board. Bagniewski vouches for Barclay’s impact on the company: “He really backed us and was instrumental to our growth”. Both Octopus and DN Capital made follow-on investments as eve Sleep raised its £2.5M Series A investment round in November 2015. Following the Series A round came another appointment to the board that was instrumental in the company heading to IPO. 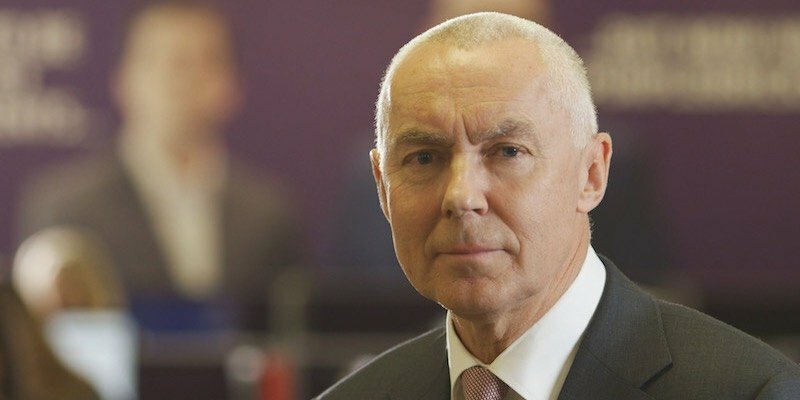 Paul Pindar, previously CEO of Capita plc, the FTSE 100 business outsourcing company, joined as chairman. Pindar also chairs another DN Capital-backed company: Purplebricks, the hybrid estate agent, which listed on AIM in 2015 after just 19 months of trading. That IPO raised £58.1 million at a £240 million valuation. The company now has a market capitalisation of £929 million; its share price has increased 3.67× since then. Remember, past performance is not a guide to the future. Bagniewski says that following the Purplebricks IPO, DN Capital were keen to appoint Pindar to the next fastest-growing UK company in their portfolio. Pindar also recommended Abid Ismail, also ex-Capita, who joined the executive team as CFO. And according to Bagniewski it was their new chairman who mapped the route to IPO: “We met Paul in February 2016. He suggested it at our first meeting”. By the end of 2016 the company had £12 million in sales, was rolling out operations to 12 countries. In October that year they raised a further £13.9 million Series B investment round, bringing in high profile investors Woodford Investment Management and Channel 4’s Commercial Growth Fund, the venture arm of the UK broadcaster. Octopus and DN Capital each made their third investment in the company at this point. As the company headed for IPO this week, these two early backers held the largest equity stakes in eve Sleep – Octopus Investments with 21.1% and DN Capital 17.8%. Are any of the investors – or the founders, for that matter – surprised at how quickly eve Sleep has been able to progress from a four-person startup to an AIM-listed company? Tom Bradley: ”By any measure that is fast – but no, it’s not a surprise. As a pretty experienced ecommerce investor this had good indicators for high growth: a focused product range, good margins, significant first order value, low return rate. There were also some early clues with the growth of [similar mattress concept] Casper in the USA. Given the calibre of the founding team, it’s not that surprising how quickly they’ve grown the business”. Bagniewski is, of course, bullish: “I love the boldness and scale of it. It’s an exciting next step for us. Yes we’re doing it early, but we’re ready. A year ago we were still a startup; Felix, our COO, was overseeing the company finances. We brought Paul and Abid on board and the last year has seen the rapid professionalisation of the business”. Startup founders are known for a high energy, fast moving approach. How will Bagniewski and his fellow executives handle the transition to running a public company? I asked Nenad Marovac the same question. He put it quite simply: “I think they will thrive”. Eve Sleep’s IPO has put both the company and its investors in the spotlight this week. But at the time of the company’s seed round in 2015, it was just another ecommerce startup. Few eyebrows were raised. Yet the conviction of the early backers is telling. I asked the investment managers whether there are any holdings with similar growth characteristics or business models in their portfolios. DN Capital, which raises funds from institutional rather than UK retail investors, highlighted Hostmaker, a management service for home rentals, and Book A Tiger, an online platform for booking cleaning services. Octopus VCTs are currently invested in Tails.com, a pet nutrition ecommerce site, Chronext, an ecommerce platform for luxury and vintage watches, and Swoon Editions, which sells limited-edition furniture online. Venture capital trusts will increasingly earn their crust by being able to spot early-stage companies that become success stories and can be sold or floated on the stock market. Whereas VCTs could previously invest in management buyouts (new money into an existing business), the November 2015 rule changes have emphasised investment in younger companies. Although this has arguably raised the risk profile of generalist VCTs, it does mean that investment managers who consistently demonstrate the ability to back early-stage companies with high growth potential should – along with their investors – be well rewarded. Previous What’s the best thing you have ever said in an interview?